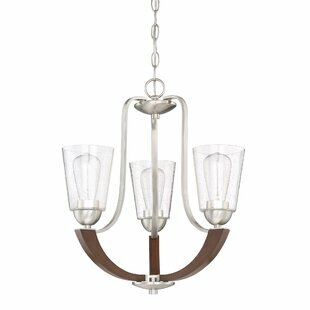 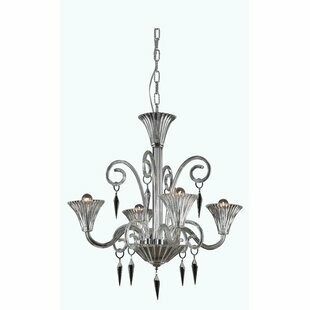 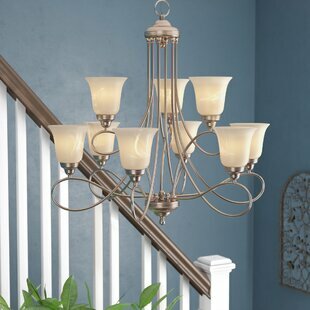 Flaunting refined flair, this chandelier lends both form and function to any area of your home. 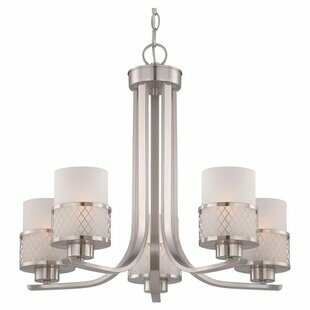 Striking out from its classically-designed chandelier brothers, this piece showcases three canopies in the forms of bell-shaped glass shades. 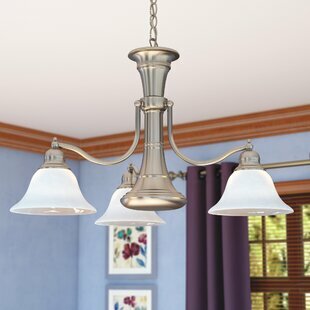 A trio of 60 W bulbs (not included) shine from within, casting their glow over your kitchen table or foyer. 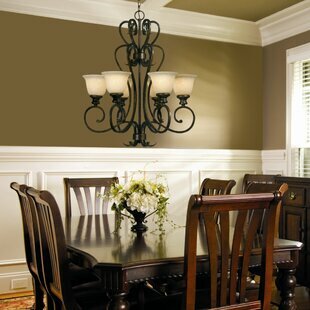 Plus, theyre dimmable, so you can control the ambience. 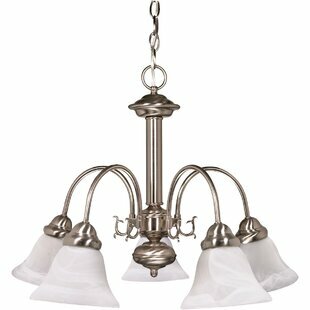 Sloped ceiling compatibility gives this piece further versatility. 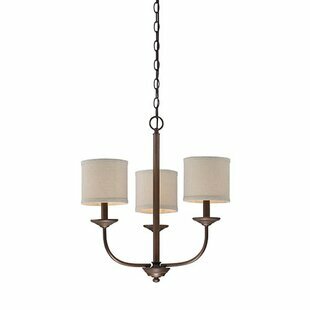 Number of Lights: 4 Fixture Design: Shaded Chandelier Adjustable Hanging Length: Yes Fixture: 18 H x 26 W x 26 D Overall Weight: 11lb.